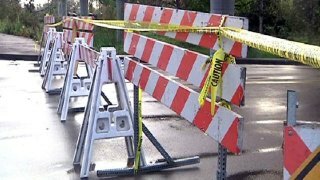 A section of Morgan Territory Road in Contra Costa County has been closed due to a mudslide, county officials announced Friday night. The roadway is closed between Oak Hill Lane and Williams Road, officials said. There is no estimate as to when the roadway will reopen. Officials said there is no access to Marsh Creek Road via Morgan Territory Road from south of Oak Hill Lane, and all traffic will need to access Morgan Territory Road from Manning Road and Livermore Avenue via Alameda County. Contra Costa Water District crews are also working in the area to repair a waterline damaged due to the slide.